Today’s post was inspired by one of the events in ‘Dare to Explore’, Auckland Libraries’ summer reading adventure that this blogger took part in earlier this morning. Dare to Explore runs over December and January and encourages participants to read every day over the holidays to try and avoid the “summer slide” whilst completing some fun challenges along the way. This morning’s event was called ‘Old Fashioned Games’, and it was an opportunity to show some local children games that were played before PC and console gaming became dominant leisure pursuits. 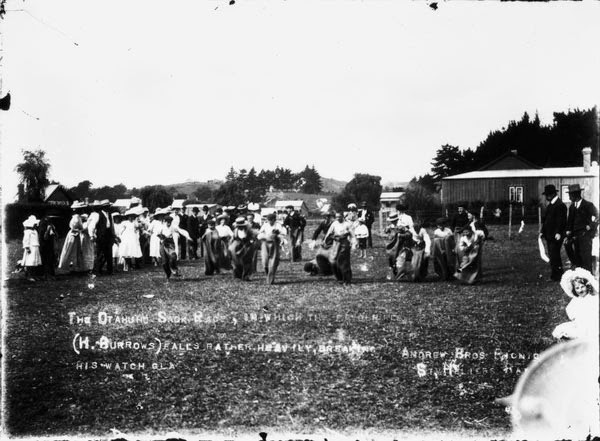 Ref: Walter Reid, Sack Race, 1909, photograph reproduced courtesy of Otahuhu Historical Society, South Auckland Research Centre, Auckland Libraries, Footprints 04303. 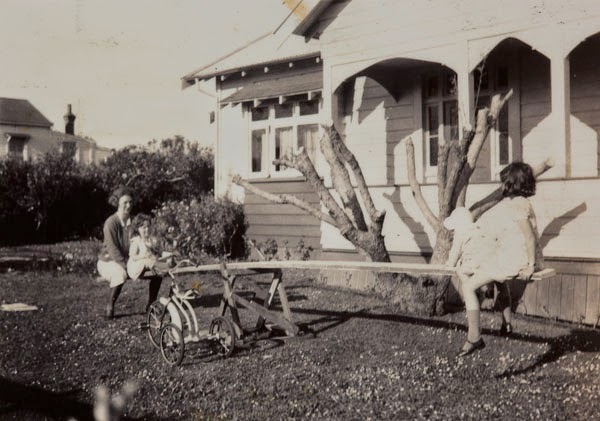 Ref: Arnold C. Bettany, Seesaw, August 1937, photograph copied from Bettany family journals courtesy of Huia Mitchell, South Auckland Research Centre, Auckland Libraries, Footprints 03950. 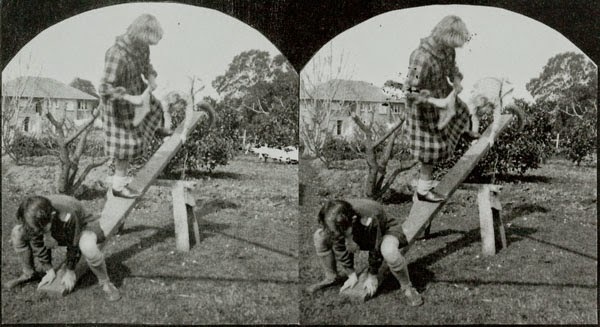 Ref: Frederick William Jenks, Do-it-yourself seesaw, September 1951, photograph reproduced courtesy of Papatoetoe Historical Society, South Auckland Research Centre, Auckland Libraries, Footprints 02053. 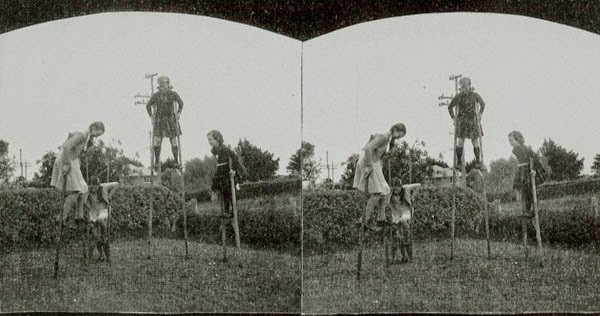 Ref: Frederick William Jenks, Test your skills on these homemade stilts, 28 August 1949, photograph reproduced courtesy of Papatoetoe Historical Society, South Auckland Research Centre, Auckland Libraries, Footprints 02052. This nostalgic morning led me to look back further in our Footprints database for some examples of even older games that children have enjoyed playing. Footprints can be browsed by theme which made finding images on this topic simple, as one of the themes is ‘Leisure’. 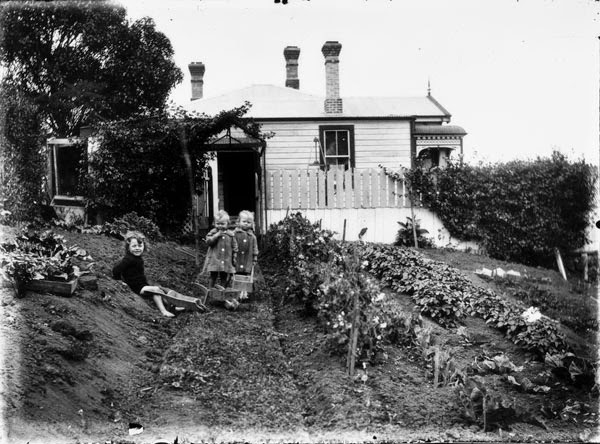 Footprints is our image database for the South Auckland and Counties-Manukau regions. For more detailed information about this wonderful resource, please see our previous posts about it. Have I missed out any games you remember playing? Please let us know in the comments if there are any glaring omissions. Ref: W.L.J. Ringer, Red Indians and nurses, c1958, photograph reproduced courtesy of Mrs. A.M. Ringer, South Auckland Research Centre, Auckland Libraries, Footprints 03033. 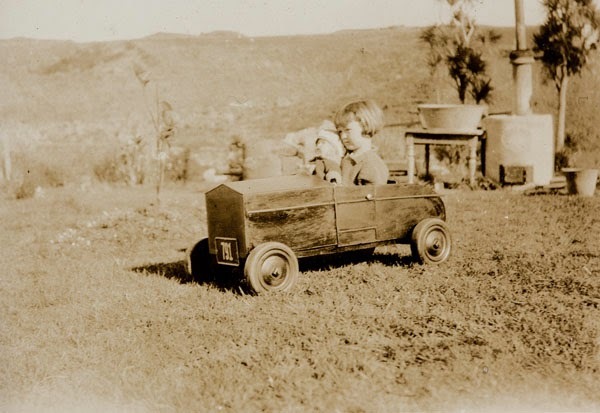 Ref: Arnold C. Bettany, Homemade children's car, 1931, photograph copied from Bettany family journals courtesy of Huia Mitchell, South Auckland Research Centre, Auckland Libraries, Footprints 04037. 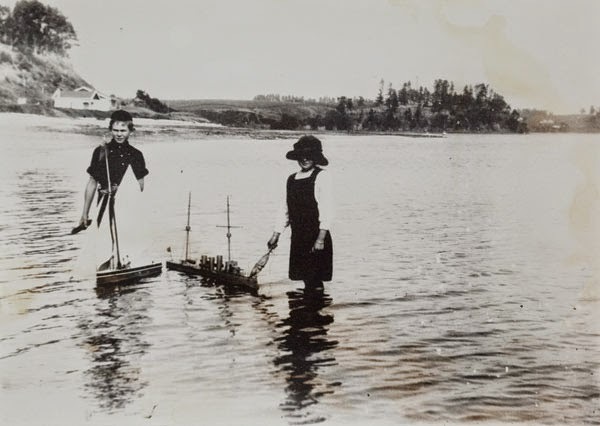 Ref: Playing with boats, c1920, photograph reproduced courtesy of Howick Library, South Auckland Research Centre, Auckland Libraries, Footprints 01972. 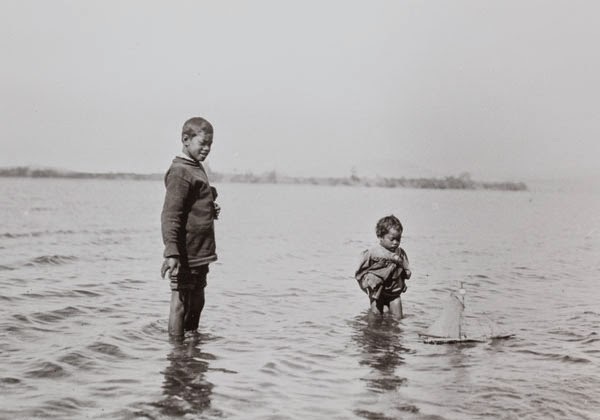 Ref: Playing at boats, c1910?, photograph reproduced courtesy of Mangere Historical Society, South Auckland Research Centre, Auckland Libraries, Footprints 01113. 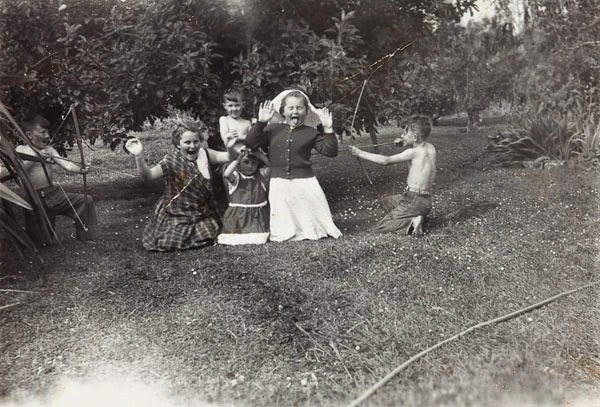 Ref: Walter Reid, Boys in the garden, c1915, photograph reproduced courtesy of Otahuhu Historical Society, South Auckland Research Centre, Auckland Libraries, Footprints 04291. 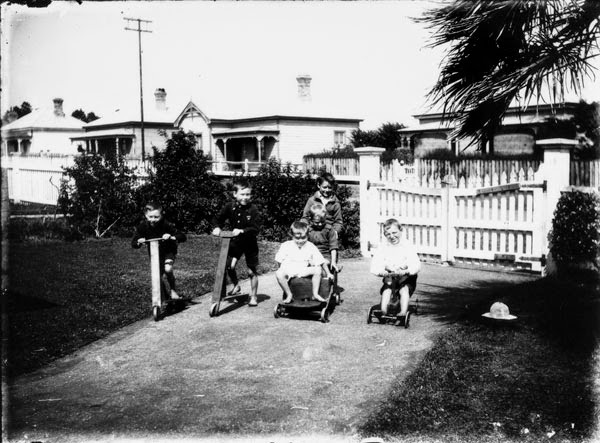 Ref: Walter Reid, Boys at play, c1920, photograph reproduced courtesy of Otahuhu Historical Society, South Auckland Research Centre, Auckland Libraries, Footprints 04289.